Tomorrow Sleep Vs Nectar- Which Should You Choose? Home » Tomorrow Sleep Vs Nectar- Which Should You Choose? 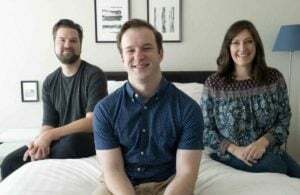 Tomorrow Sleep and Nectar are two popular mattress companies that sell directly online. Nectar is an all-foam mattress, while Tomorrow Sleep is made with foam and springs. Here’s how the mattresses compare, so you can find the right balance for your back and your pocketbook. Both use materials with a lot of give. Nectar is all foam while Tomorrow Sleep incorporates coils. Tomorrow Sleep has two comfort level options, while Nectar has only one. Tomorrow Sleep has a foam side rail system for extra edge support. 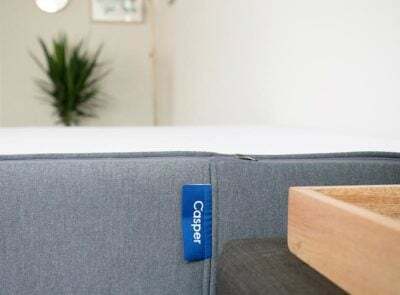 Nectar has a cooling mattress cover, while Tomorrow Sleep’s springs allow air to flow to keep the mattress cool. Nectar offers a longer trial — 365 days to Tomorrow Sleep’s 100. Tomorrow Sleep’s two firmness options are Medium Soft and Medium Firm, and they have similar construction. Differences can be found, however, in the thicknesses of certain layers. The cover is made of polyester and nylon. On top is 1 inch of memory foam with phase change material. The second is layer is gel foam, providing additional comfort and some bounce beneath the top layer. This layer is thicker in the Medium Soft option. The Medium Firm option has a layer of “dynamic response foam” under the gel foam layer. This foam feels similar to memory foam. Individually pocketed coils create the thick support layer. This 6-inch layer is highly supportive, and uses durable materials that also help with motion isolation. The Medium Firm option uses thicker coils. A foam side rail system reinforces edge support. 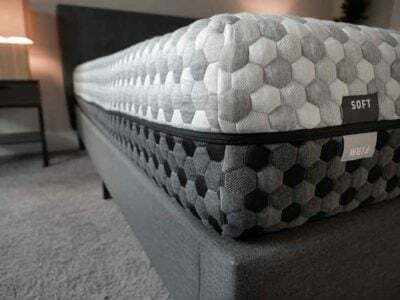 At the base of the mattress is 1 inch of stabilizing foam. 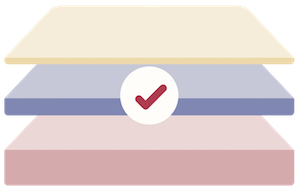 Nectar has four layers, plus a cover. The cover uses long staple cotton and Tencel fabric, a breathable combination that is cooling and bug resistant. The cover fabric is OEKO-TEX® Standard 100, Class 1 certified. OEKO-TEX® is a respected independent environmental testing and certification system that tests to ensure textiles do not use harmful substances. The top layer uses a gel memory to provide extra comfort and enhanced breathability. The quilting of the layer also adds a comforting texture. The next layer uses another type of gel memory foam described by Nectar as a “semi-open LUSH foam” typically manufactured for medical uses. The purpose of this layer is to absorb and redistribute heat. Three inches of Hi Core Adaptive foam form the support layer. This foam is supposed to be the best for contouring a mattress to your pressure points while also giving the mattress bounce. The roughly 6 inches thick base layer uses breathable foam designed to draw fresh air in through special channels. At 2.2 lb density, this base layer is denser compared to other mattress base layers, according to the brand. Nectar is firmer than Tomorrow Sleep’s Medium Firm option. Despite the use of springs, you’ll sink into Tomorrow Sleep quite a bit. This is especially the case with the softer version of Tomorrow Sleep. Both sleep cool for most people, but Nectar uses special materials meant to ensure this. 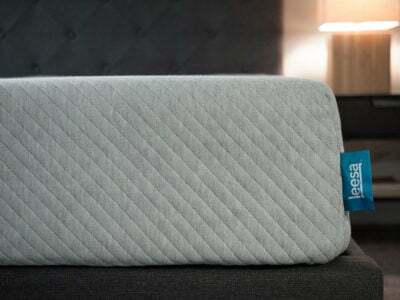 While both mattresses are durable, Tomorrow Sleep has an edge because it uses coils. Watch the videos below to get a sense of how the mattresses respond to pressure. Note that the Tomorrow Sleep video is for the Medium Firm version, so expect the soft version to be softer and have more give. Nectar is firmer than the Medium Firm version of Tomorrow Sleep. 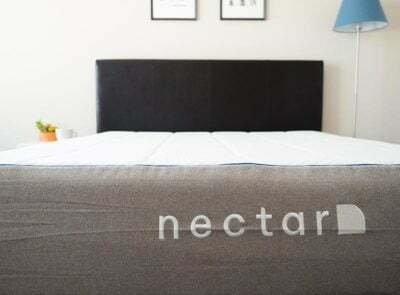 Both mattresses have a lot of give, but Nectar is bouncier and springs back more quickly. The videos below show off the differences in motion isolation. Both do a respectable job at preventing motion from transferring. You want extra support– While Nectar is thicker and firmer, Tomorrow Sleep’s springs still make it a better option if you want more support; this is especially the case for sleepers who weigh more. 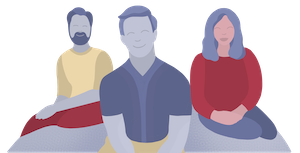 You want something softer– For a mattress with springs, Tomorrow Sleep has more of a sinking memory foam feel than you might expect. You are on a budget– Nectar is less expensive than Tomorrow Sleep, especially when comparing larger size options. You want something a bit firmer– Nectar is a bit firmer than the Medium Firm option from Tomorrow Sleep. These mattresses both have appealing features, but each better suits different types of sleepers. I hope this post has helped you better understand which brand will work better for you. Please leave any questions you might have in the comments.